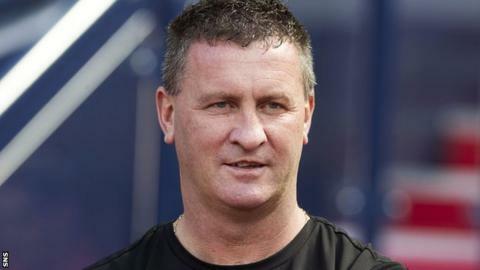 Stranraer have sacked manager Keith Knox with the Stair Park side currently bottom of the Scottish Second Division. The Blues have won once in the league this season and have not picked up any points away from home. Assistant manager Stephen Aitken has agreed to oversee the first team on an interim basis. "Recent results have been unacceptable and the club's committee felt that change was now required," chairman Robert Rice told the club's website. "This had been a very difficult decision and one that had not been taken without serious deliberation and debate. "Stranraer FC would like to thank Keith Knox for all his efforts during his three years in charge and wish him all the very best for the future. "It is important that we now look forward and work together at the club to begin the task of gaining the results required to improve the club's league position as soon as possible."